As more and more people are looking for natural alternatives in skin, hair and body care, there is an increasing interest in the role essential oils can play. These little natural powerhouses have a lot to offer when it comes to skin care. 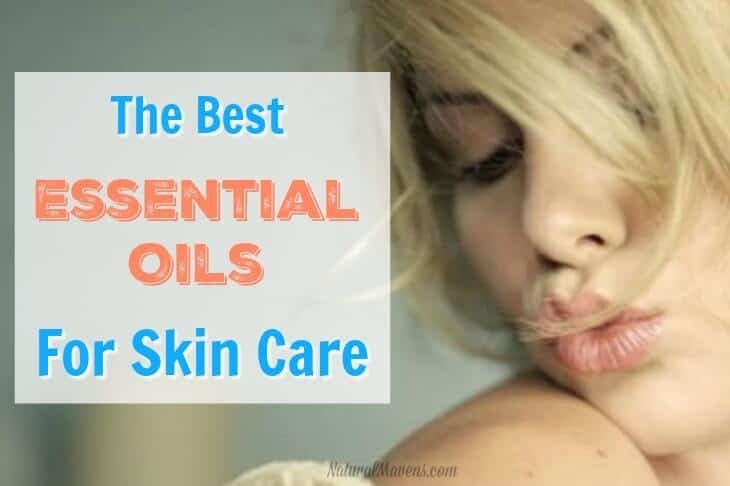 Some of the best essential oils for skin can help with repair, while others are fantastic for nourishing and maintaining a healthy appearance. Not only are these benefits for your skin, but there is the ‘aroma’ that essential oils bring to skin care products. The way something smells plays a big role in why we choose certain products over others. It also adds to the enjoyment of using the product. So not only does your skin benefit, but the aromatic influence of can also affect your mood and emotions. A double whammy! This is something no synthetically derived perfume can offer. Read on to discover the ways essential oils can heal and beautify your skin followed by a list of the best choices based on skin type or problem. From here you can start to benefit by including them in your daily skin and beauty routine. As our largest organ, the skin plays a major role in health and wellbeing. Not only is it our largest organ, it is also semi-permeable which means most substances that are applied to it, will be absorbed into our bodies. In the case of essential oils, the absorption is fairly quick and they will reach the bloodstream quite soon after first being applied to the skin. From here, they pass into the general circulation and travel around the body. Essential oils therefore work systemically having an influence on the body as a whole, not just the area to which they are applied. The benefits to the body go well beyond just the skin. Because of this, choosing natural based products over synthetics will allow you to pamper and beautify without absorbing toxins. It makes sense, wherever possible, to use natural products and ingredients, including essential oils on your skin. The great thing about essential oils is they will usually do more than one thing. They not only enhance your beauty but also help promote overall wellness. So, when choosing products consider the benefits to not just your skin, but other properties as well. It is easiest to group what essential oils are good for skin care by skin type or different skin problems. These are listed out below. Description: Soft, smooth and finely textured. The skin is generally well balanced with few problems like spots and flakiness. Essential Oils for Normal Skin: Chamomile (German and Roman), Geranium, Lavender, Neroli and Rose. Description: Close-textured and fine, but can feel tight after washing with soap. May also flake and is predisposed to developing facial lines and wrinkles more rapidly than oil or balanced skin. Essential Oils for Dry Skin: Chamomile (German and Roman), Jasmine, Neroli, Rose, Lavender, Geranium and Sandalwood. Description: Shiny appearance with large pores. Prone to developing spots, blackheads and a tendency to acne. Essential Oils for Oily Skin: Geranium, Lavender, Cedarwood, Cypress, Grapefruit and Sandalwood. Description: Chin, nose and forehead form an oily T-zone. Skin around eyes, cheeks and neck is dry. Essential Oils for Combination Skin: Chamomile (German or Roman), Frankincense, Geranium, Lavender and Rose. Description: Can be of any skin type above and may become sensitive from exposure to harsh soaps, chemicals or cosmetic materials. It is always advised to carry out a patch test on a small area of skin first. Use oils in low concentration. Essential Oils for Sensitive Skin: Chamomile (German or Roman), Neroli, Rose and Lavender. Description: Broken veins (capillaries) usually occur around the nostrils and across the cheeks. Can affect all skin types but especially sensitive skin. Essential Oils for Thread Veins: Chamomile (German or Roman), Frankincense, Geranium, Neroli, and Rose. Description: Skin that is deteriorating and in need of nourishing and toning. Appearance of wrinkles, discoloration, dryness and sagging. Essential Oils for Ageing Skin: Frankincense, Geranium, Jasmine, Neroli, Sandalwood, Patchouli and Rose. And here is a list of best essential oil brands to try. Once you have selected the appropriate oil or combination of oils for your skin, they need to be diluted in a carrier oil, base lotion or cream before application. Some options for these can be found here and here. Typically for application to the face, 0.5 to 1% dilution is recommend. For application to the body, 2% and for general massage 3%. You can make up as little or as much as you want and if not being used right away, make sure to store the mixture properly. Use the following chart to get the correct measures and ratios. Note: As mentioned above, the best essential oils for skin that is sensitive should be used at the lowest dilution of 0.5% and tested on a small area of skin first. Including essential oils in your skin care routine is worth it for many reasons. Not only will your skin enjoy the benefits the oils have to offer, but your whole body will be rewarded too. Use the information above and start to experiment by either making your own combinations at home or looking out for natural beauty products that include pure essential oils in their formula. Your skin will thank you.